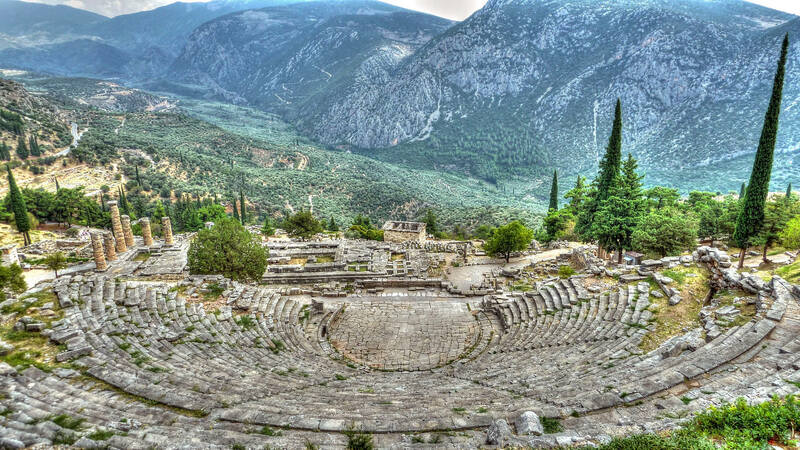 Nestled at the foot of Mount Parnassos lies the sanctuary of the famous ancient Greek oracle. A popular travel destination today, it is not hard to imagine the ancient Greeks that flocked to this place thousands of years ago, searching for answers to their questions. Long before the time of Google, answers would be sought through visitations to the oracle of Delphi. The answers were often given in the form of riddles that were interpreted by the oracle. The trip to Delphi was much more expensive in ancient times than it is today, requiring large sums of money and time to make the journey from Athens. 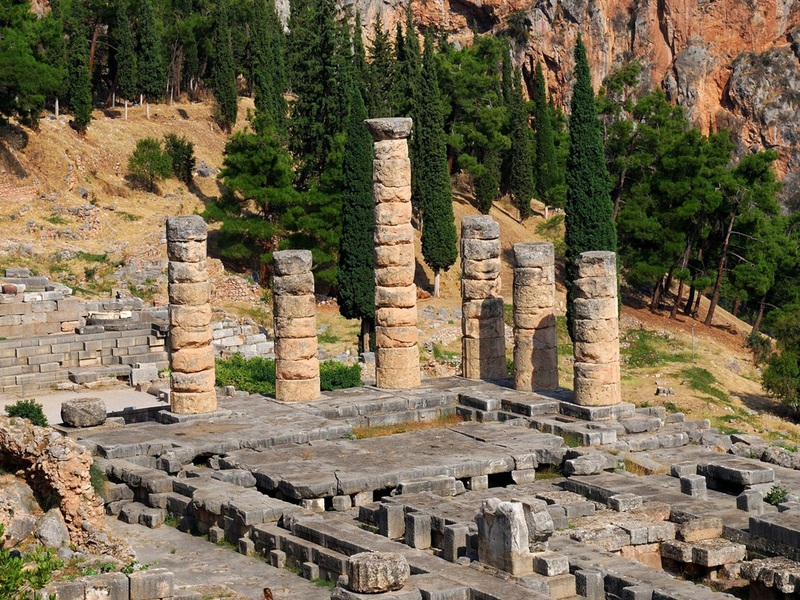 Delphi was not an easy place to get into, even if you possessed the finances to travel there. It had selective hours, with visitors only able to consult the oracles on the 7th day of the month, because it was Apollo’s birthday. 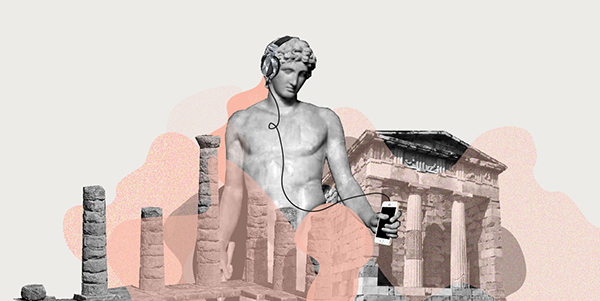 Rather than having a party, Apollo would spend his birthday answering the questions of Greek citizens. Taking a vacation of his own, he was also unavailable during the wintertime – he spent those months in the mythical land of Hyperboreans. Because of this, the oracle was only available nine days of the year. Luckily the site has better hours today and is more accessible! As a traveler today, you can check out the polygonal wall below the temple of Apollo and listen to stories of the messages written there. Covered in writings that detail the selling of slaves to the god Apollo, the wall was a record-keeping book. Thankfully, a book of stone can survive for thousands of years and allows us to continue to view the wall today. Many inscriptions on the wall describe the rights of slave woman, including how she could buy her freedom. The self-guided tour “Delphi: The Google of the Ancient World” includes details on specific women whose stories are on this wall. Women played a prominent role in Delphi. The oracles, also known as Pythias, were women who shared prophecies from Apollo with the visitors. It was their duty to interpret the messages given. These oracles were often older virgin women who wore the dresses of maidens. 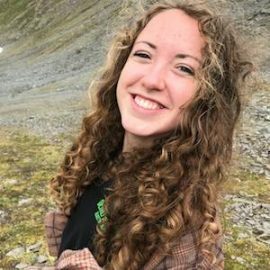 Young women were barred from this prestigious position after a man fell in love with the oracle he was consulting, according to a legend. 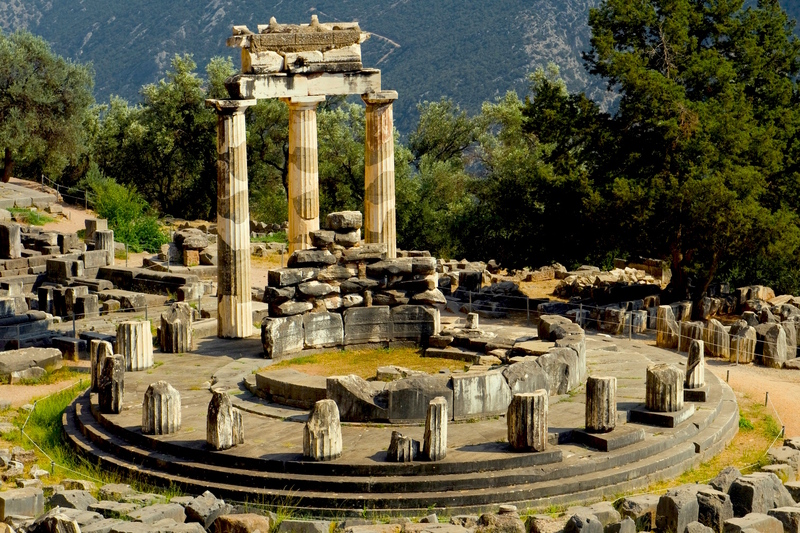 While the oracles are no longer at Delphi to answer your questions, the tour will allow you to take in the famous site and answer your burning questions about what happened there in ancient Greece! The tour is available both on Clio Muse’s website and on Get Your Guide. We hope you enjoy it as much as we do!